The United Nations Children’s Fund (UNICEF) and the Plateau Primary Health Care Development Agency (PHCDA) have appealed to community leaders in the state to educate their subjects to embrace routine immunisation. 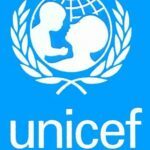 Newsmen report that UNICEF and the PHCDA made the call on Monday during a one-day workshop on immunisation at Kanke Local Government of Plateau. The workshop, which was organised for district heads, village and ward heads as well as chairmen of development associations, had the theme: “Community Engagement in Routine Immunisation.’’ It was held at the Kanke Legislative Chamber. Mrs Asabe Mattah, UNICEF/PHCDA Team Leader, said that the workshop aimed at educating the target group to prevail on their subjects to always be positive and participate in all routine immunisations. “The routine immunisations being carried out by the federal and state governments and other world organisations like UNICEF are all aimed at improving the health of the citizens of the country. “The health of the public will be jeopardised, if some people refused to participate as the consequence is non-total eradication of such diseases as Polio. “We must all, as citizens of this country, participate in routine immunisation, so as to do away with every disease, especially child killer diseases in our society,’’ Mattah said. She called on the participants at the workshop to show keen interest in all that would be taught them, and to go back and ensure that their subjects are educated on the importance of routine immunisation.